The Qualified Signal Person program is 4-6 hours of dynamic classroom instruction that includes a written exam followed by individual practical exams, resulting in the documentation required by OSHA for employers to qualify their personnel. As of 2010 all persons providing signals to a crane operator must be qualified in accordance with OSHA §1926 Subpart CC. Our Qualified Signal Person program meets OSHA §1926 Subpart CC, General Industry OSHA §1910, and also satisfies ASME B30.5 requirements applicable to general industry. 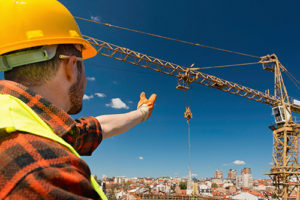 “All signal persons must be tested and they must demonstrate qualification as a signal person.” Federal OSHA §1926.1428 requires that persons who signal cranes in construction activities receive training and testing to qualify as competent.